We offer Express Same Day Service for 13" and 15" inch MacBook Retina Screen Repair & Replacement in Sydney. Get your MacBook retina screen replaced today on the same day with affordable price! We also offer MacBook retina screen replacement Australia wide. We use Genuine Apple Parts and offer 12 months warranty on parts and life time warranty on installation! We are a company that is functioning all over the Sydney and all that you have to do is let us know where you are located and this is enough for us. Whether you what us to come to your company and replace the screen there, or you want us to do it from our own workshop, it is not a problem for us. We love to make sure that our customers are satisfied with our services at all times. 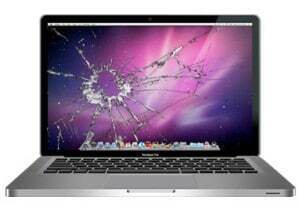 At Laptop screen replace we can replace your MacBook Retina screen with same day at no extra cost. We use Genuine Apple Retina screen assemble to replace your damaged screen. Which means we will replace the whole top part assemble(include covers lid and hinges) with a brand new part. The new part comes with 12 month parts and labour warranty. and speak to one of our MacBook Retina screen repair expert.